We have been married since December 2002. During that time we have lived in Texas and South Carolina. Texas was fun, but there's no place like home...and sweet tea! We have two daughters, both of whom were born in January. Our oldest has brown fur and stands on four legs and is 4 years old. Our youngest, who is definitely an entertainer, is 3 [going on 13]. As part of my Plight to Save Homemade, I have will begin featuring individuals who will be directly affected by the new CPSIA law if it goes into effect as written on February 10, 2009. This week, I will be featuring the etsy store, Kissing Kumquats. Kerrie and her sisters, Kellie and Kristie, started the stores as a means to "...offer the funky, fresh designs to others who love bold, graphic prints and sweet florals that do not look like something your grandmother would wear." I love, Love, LOVE their awesome fabric designs! <---This one is my favorite! They have the most adorable skirts on their site and they are super-affordable as well. All the skirts pictured in their shop have already been made- when you place your order, they will create the skirt you order especially for you. Whats more, they can create sizes 2T up to girls 7/8. If you're looking for a special gift for your child or a friend, be sure to check out Kissing Kumquats! I understand the reason for the law and agree with it, to an extent. In my opinion, large manufactures don't have the relationship with their customers that small businesses do and therefore don't share the same social conscience. We, on Etsy, are literally on a first name basis with our customers and would never, ever, use or make a product that would harm their little ones. As for those of us who make clothing or anything out of fabric...I think if the manufacturer has tested the fabric, it is redundant to test again. I feel strongly that the law makers did not think this through at all. We are a nation know for our entrepreneurial spirit, and they have passed a law that will essentially cripple those who have put their heart and soul into that exact concept. This law should definitely have exceptions for small manufacturers including home-based businesses owners. A large percentage of sellers on Etsy who make childrens clothing/items are stay at home moms. We have made the choice to stay home with our children and found a way to make a living, or at least supplement the household income. This will effect so many of us who are essentially living the American dream. We get to stay home with our children, practice our "art" and make a living. The fact that we have made the top 10 list on Change.org says something about how many people this is going to affect. Kissing Kumquats is currently running a sale on all of their children's items. According to Kerrie: "We have had such a great response to our sale that we decided to extend it until Feb.10th. and will be adding new items almost daily. Why not? We have awesome customers and I feel like they should be able to buy cute clothes for their girls, and themselves in some cases, until "d-day." I’ve never read anything by Ted Dekker or Erin Healy before. In fact I’d never even heard of either of these authors. And admittedly after reading the book description wasn’t even sure if I would like the story. I received Kiss in the mail on a Tuesday. I was finished with the book by Wednesday evening. Kiss is a very suspenseful novel, a winding tale of deception, disaster, and deceit. It is a tale of awakening and renewal. There are many questionable characters, many unanswered questions and many plot twists. In this novel, the main character, Shauna, long-ago “abandoned” by her father and step-monster, wakes from a coma and is told that she caused the paralysis of the only person who matters to her, her younger brother, Rudy. The problem is that she can’t remember any of this…and as the plot thickens we learn that there is a reason for this. In this twisting, winding tale, Shauna must sort through the information and memories being fed to her by all those around her to determine the truth. In this novel, Shauna, haunted by her past and consumed by the unknown, is renewed when she learns that while the past does not define the future, it does help to shape it. Even now, I’m not sure if I liked the novel, but to say that the storyline hooked me and I was so intrigued by it that I couldn’t put the book down would be an understatement. I received a free copy of the book, "Kiss" from the Thomas Nelson Publishing copy. In return for this book, it was asked that I read and publish a review of the book. We are all aware of the numerous toys that have been recalled over the last several years. Pages and pages of toys listed. My daughter was just starting to really play with toys when Mattel issued their recall of numerous Sesame Street and Nickeloden toys due to led paint hazards. I can remember checking the recall lists on a daily basis to make sure that my child wasn't putting into her mouth any of these potentially harmful goods made mostly in China. Like any other concerned parent, I wanted stricter regulations on imported goods, especially children's items. In response to such recalls and corresponding public outcry, the Consumer Product Safety Commission went to work and Congress soon passed the Consumer Product Safety Improvement Act (CPSIA), which goes into effect on February 10, 2009. The CPSIA bans lead and phthalates in toys and requires third-party testing and certification for all products intended for children under the age of 12. Great news, right? EXCEPT.... This act will effect ANYONE and EVERYONE who creates items for children under age 12, not just large businesses and manufacturers. It will effect grandpas who make swings and rocking horses for their grandchildren, the lady at your church who knits the beautiful baby blankets you purchase for your friends and family, your favorite children's handmade dress booth at the local craft fair. Yeah, etsy is included too. WHY, you ask? Because unless these local crafters spend thousands of dollars testing the lead levels of every lot of every material used in their product- materials that have already undergone testing- to prove there are no toxic chemicals in the item, it will be illegal for them to operate after February 10, 2009. WAIT a minute- so basically, with this new law we're destroying the only people who's products we actually trusted during the whole recall scare? And furthermore we're unemploying even more people in an already struggling economy? The answer, sadly is YES. That is exactly what this law will do unless we all take action to SAVE HOMEMADE! WHAT can I do? (1)Find your congress person and senators and write a letter like the sample here. (2) Send an email directly to the CPSC or contact chairperson Nancy Nord at 301-504-7923 (3) Place the Save Handmade! button on your blog or website to help spread the word to everyone you know who cares about protecting and preserving beautiful items made with love for our children. Thanks to everyone who entered the contest. 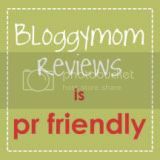 Continue to regularly check the blog for children's product reviews, book reviews and contests. While some contests will be held to attract new followers, I will also hold contests for current members of the blog, which will only be announced here. So a recent thing for me- trying to think of new and inventive ways to serve up food for my little one. Currently she is going through the "no eat" phase. This is a new one for me because this is the same child who, at 8 weeks old, was drinking 9oz of milk every 2 hours. At 5 months old, was scarfing down baby food like there was no tomorrow (except the green veggies- she hated those!) At 9 months old she was chomping on pizza crust and by age one she would eat half the food on my plate! Recently though, if she eats breakfast (aside from her cup of milk) it's not much, and she'll either eat a full lunch or a full dinner, but not both. Usually dinner loses out because she is just "too busy." Although if it's green bean day at daycare she'll skip lunch- she still hates green veggies! Yes, I do understand that it is just a phase... I saw my little cousins, nephew, and a slew of kids that I used to babysit go through it as well. Yes, logically I know that if she gets hungry, she will eat, but still the "mommy" side of my brain says that she needs to eat something! So what to do, what to do? Well, right now, her favorite shapes are "heart" and "star." So what does Creative Mommy do?!?! Yes! Serve her food in her favorite shapes! The Pampered Chef "Creative Cutters Set" is perfect for just this sort of thing! The set comes with 8 "mini" cutters, to (in their words) "create decorative garnishes out of cheese, deli meats, fruits and vegetables." While i don't dispute this, these cutter are also PERFECT for cutting pb&J and grilled cheese sandwiches for a busy 2 year old on the go! Do you have creative methods to get your children to eat? What are they? Need some help thinking of new creative ideas? Let us know by leaving a comment! I was lucky enough to receive a copy of the book, Rex: A Mother, Her Autistic Child, and the Music that Transformed Their Lives, from Thomas Nelson Publishing to review. Since I have completed the book as well as my review of it (read my review here), I've decided to pass it on. I will be giving away one copy of Rex: A Mother, Her Autistic Child, and the Music that Transformed Their Lives to one lucky blog reader. Remember to leave a comment stating which of the three ways that you entered. If you do more than one option to enter, leave a separate comment for each! Also, remember to leave an email address if you don't have your own blog so that I can notify you of your win! I'm running the giveaway through 11:59 PM January 19, 2009. The winner will be randomly drawn by my little princess on the morning of January 20th. Good luck! I will announce the winner on the blog on Tuesday, January 20. The winner will be notified via email and will have until January 23, 2009 to respond with contact information. If no response, another winner will be chosen. My 23 month old daughter received the Step 2 Lifestyle Grand Walk-In Kitchen for christmas. We also received the bonus table and two chairs. For everything that came in the box, the price was EXTREMELY reasonable. It was very easy to put together- it took my husband and I about 1.5 hours to put it together...this included putting all of the stickers on and setting up the food items that come along with it. When my daughter saw it Christmas morning so said "Whoa!" about 50 times. She ran to the kitchen and was so excited about all of the gadgets and accessories. The phone and microwave both make different noises when you press the keys. Also, the stove recognizes the pot that you put on the burner and makes corresponding noises (sizzling, boiling, etc.) It comes with 2 plates, bowls, cups and cutlery sets as well as two baskets full of food. Some of the foods is more realistic looking than others but to me that is a minor detail. The set has a counter so that you can sit on the enclosed stool and eat. Two smaller children can play comfortably in this kitchen. I think that the kitchen is plenty big enough for a child up to age 4 or 5 and hope that my daughter will not outgrow it before then. I just finished reading the book, "Rex: A Mother, Her Autistic Child, and the Music that Transformed Their Lives." Let me start by saying that I enjoyed reading "Rex." It was a fascinating look into the "real" side of disabilities. The problem that I had is that the book cover states..."A Mother, Her Autistic Child, and the Music that Transformed Their Lives." While this book is indeed about a mother and her child, who happens to be autistic, it is also so much more than that! Cathleen Lewis chronicles the real, raw emotions that any mother, who learns her child needs major surgery at a few days old, is blind and also exhibits autistic behaviors would experience. I felt was she was feeling when reading "Rex." Rex is also the story of a mother who refused to give up, refused to back down, dug her heels in and made certain that her son would have the best life, the most enjoyable life that he could. Rex is the story of a mother who learns to have faith, embrace faith, and like all mothers, learns that it's okay to let go, so that her son can soar...down a steep driveway, across piano keys as the musical savant that he is, bombing down a mountain on skis, on surfboard catching a waves. Hats off to you, Cathleen Lewis, and your son, Rex! I received a free copy of the book, "Rex: A Mother, Her Autistic Child, and the Music that Transformed Their Lives" from the Thomas Nelson Publishing copy. In return for this book, it was asked that I read and publish a review of the book. Want me to review your product? Want to host a giveway on my site? Drop me a line by clicking the link above! Show Some Love - Follow Me!